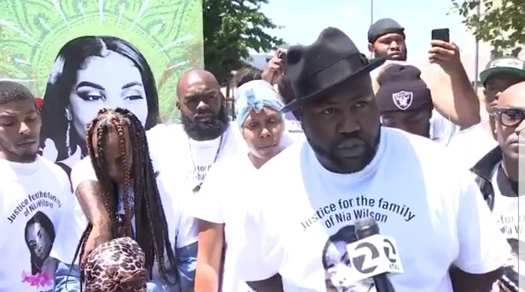 OAKLAND—The family of Black teen Nia Wilson had not yet buried their daughter as the legal process moved forward in the quest for justice and punishment of her alleged killer John Lee Cowell. The convicted felon appeared in court July 26 to face allegations of murder and attempted murder for stabbing the 18-year-old and her 26-year-old sister Latifah, both in the neck. 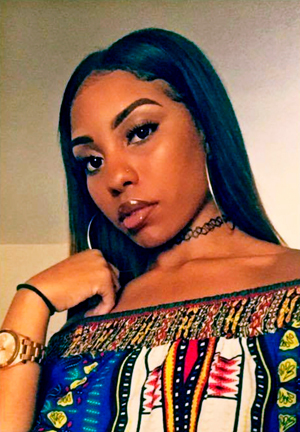 This July 3, 2017, photo provided by Ebony Monroe shows her cousin Nia Wilson in a selfie, who was killed in an unprovoked stabbing attack at a Bay Area Rapid Transit station in Oakland, Calif., July 22. John Cowell, 27, a recently paroled robber with a violent history, was peacefully arrested on an Antioch-bound train July 23 about 12 miles from the Oakland station where investigators believe he killed Wilson and wounded her sister. He faces life in prison for each count, but if prosecutors pursue additional hate crime charges, he could face the death penalty. Mr. Cowell is due back in court to enter a plea Aug. 22. “I would like total justice for my daughters. Nothing less! 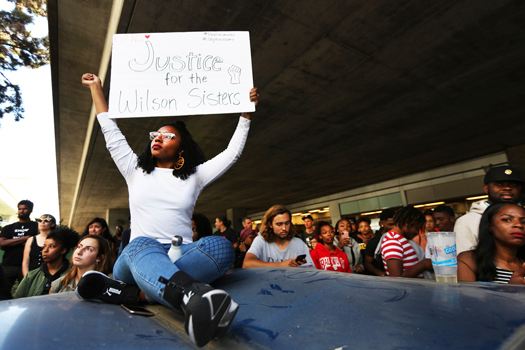 I want justice for my daughters,” said Ansar Muhammad, a county hospital food service worker. “That would look like the perpetrator being sent away for the rest of his life,” he told The Final Call. Mr. Cowell’s 2016 felony conviction for robbery and 2012 conviction for assault with a deadly weapon could mean double life terms and add five more years to his sentence, according to prosecutors. He will be prosecuted as a Three Strikes defendant, Assistant District Attorney Micheal O’Connor said. No hate crime charges had been filed as the investigation was underway. A special prosecution team has been assigned to the case. Assistant District Attorney O’Connor told The Final Call there’s been no formal indication that the defense will be insanity, so prosecutors have made no formal reply. “I would hate to play the race card, but what other card could I play? You just randomly chose three, beautiful, African Americans, Black women, Black little girls basically, to do this horrific thing to,” the father said. “My daughter was very jubilant. She was very outstanding. She loved her people,” Ansar Muhammad told The Final Call about his child who had high hopes and dreams. She was about to graduate high school in December and had her sights set on joining the military, he said. The young beauty was like the average 18 year old. She had fun and loved makeup and cosmetology, according to the proud father. She was his youngest of eight children. “This is a strong family that is confronted with the terrorist act of a killer. We stand by their side 100 percent in pursuit of justice,” stated Nation of Islam Student Minister Keith Muhammad of Mosque 26B in Oakland. “We ask the community to respect the family’s stand and we ask the activist community not to speak beyond their ability to do and to represent the family as properly as we can,” he said. 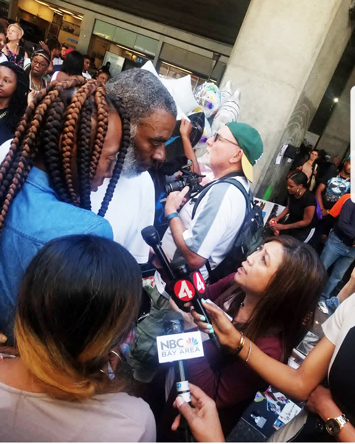 Some 1,000 people held a July 23 protest and vigil for Nia which began on the BART MacArthur station train platform, where she was killed, and moved to downtown Oakland. On July 23, BART police also arrested the 27-year-old suspect aboard a train after an anonymous tip from a rider. BART Police Chief Carlos Rojas said the evening of July 22 Mr. Cowell approached and stabbed the sisters swiftly. They didn’t see it coming. The attacker then ran and ditched his clothing. 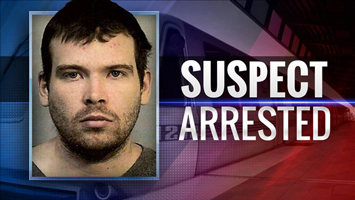 Suspect John Cowell arrested in the Oakland train station stabbing. Keith Muhammad, other community leaders and activists met with city and county officials on July 27. They demanded prosecution to the fullest extent of the law, adding hate crime charges, and that officials ensure Bay Area Rapid Transit accepts full responsibility for what occurred at one of its stations and does all it should to protect passengers. “Even if this man receives a life sentence without the possibility for parole, it would be good if the court acknowledged that it is not acceptable that it be open season on Black people,” Keith Muhammad said. He chided local KTVU FOX 2 portrayal of Nia in a July 23 newscast which showed a photo taken from her social media pages that appears to show her holding a gun. She was holding a cell phone case. “That was very degrading to my family and to my daughter and I don’t agree with that at all, because there were several pictures they could have picked from, and they chose that one,” Ansar Muhammad stated. Dozens of demonstrators held a march outside KTVU’s station July 27 to protest the criminalization of Nia and Black victims of terror. National Black media organizations condemned KTVU use of the unauthorized image just hours after the 18-year-old was murdered. “The community is rightfully angry,” said Keith Muhammad. Whenever a Black woman or girl is attacked in such a horrific manner, it becomes a clarion call for the 10,000 Fearless that the Honorable Minister Louis Farrakhan called for during the 20th Anniversary of the historic Million Man March, he said. Make your community a decent and safe place to live, Minister Farrakhan said in 2015. “As youth, this isn’t something that we should have to face so consistently,” said Oakland resident Nivia Charles solemnly but with conviction. The 21-year-old feels she and peers are on edge, falling into apathy over the killings of Black youth by police, vigilantes, and street violence. They looking for self-defense training and ways to protect themselves from assaults, she said. They agree they need guidance and help from Black Panther Party elders, the Nation of Islam, disciples of Dr. Martin Luther King, Jr., to organize classes, she said. “I know that most importantly a lot of my peers are looking to heal,” said Ms. Charles. Nia died almost immediately and her sister was rushed to the hospital with a neck wound. Station anchor Frank Somerville later apologized, calling the photo “a mistake.” When news anchor Amber Lee of KTVU was confronted by Daryl Muhammad of Oakland regarding the disrespectful picture of Nia she exclaimed that the station was issuing an apology. Alicia Grayson, Nia’s mother, responding to the question if she could say anything to John Lee Cowell what would it be, answered, “F--k John! Excuse my language. I don’t care I’m mad! He took my baby! What am I supposed to say?” she said through tears.